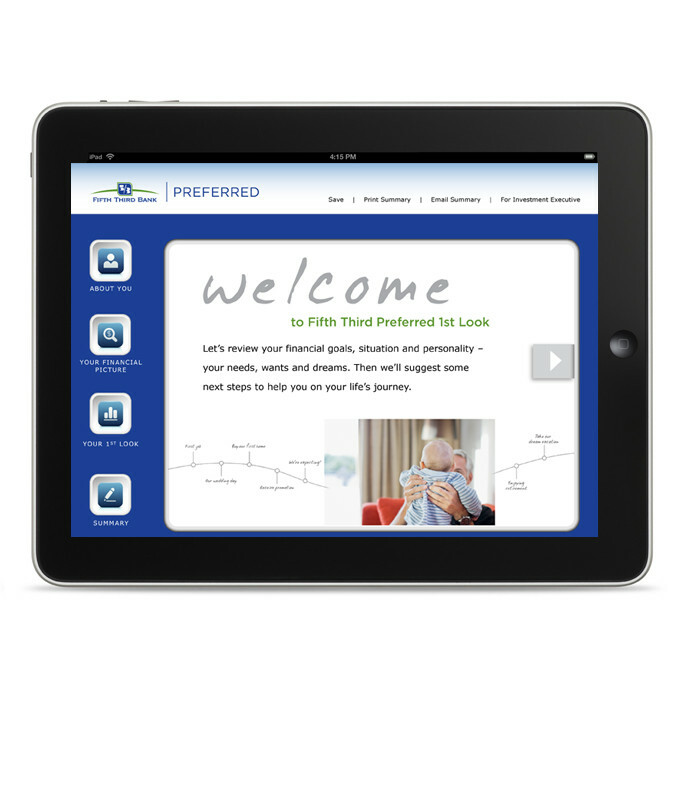 Fifth Third POS App | Optima Group, Inc.
Fifth Third identified the mass affluent as a key growth market. They wished to develop a tool that would allow investment representatives to build trust, uncover financial information, identify top-line recommendations, and schedule a next meeting. 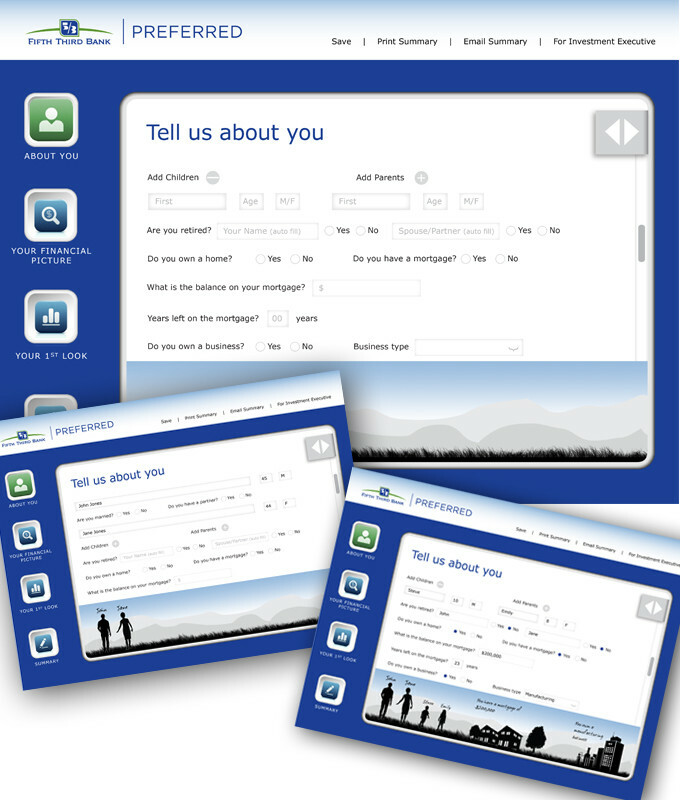 Optima Group developed an interactive application for a representative to use with customers and prospects. 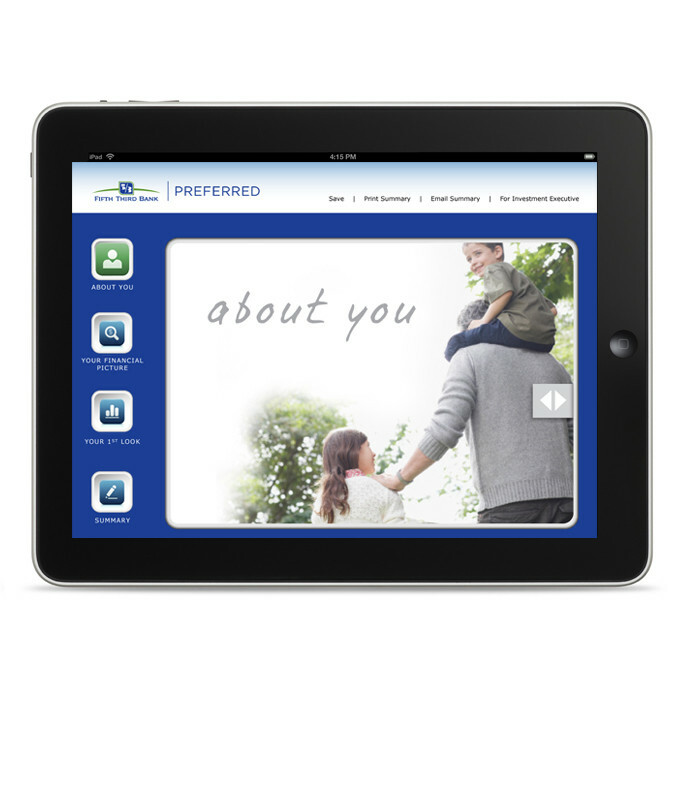 The application fit seamlessly within the overall Fifth Third Preferred Program brand identity, and function on a computer or tablet. The app is designed to quickly develop a high-level financial picture. Within 20 minutes this easy-to-use application identifies areas the representative can follow up on, thus creating the need for another meeting. 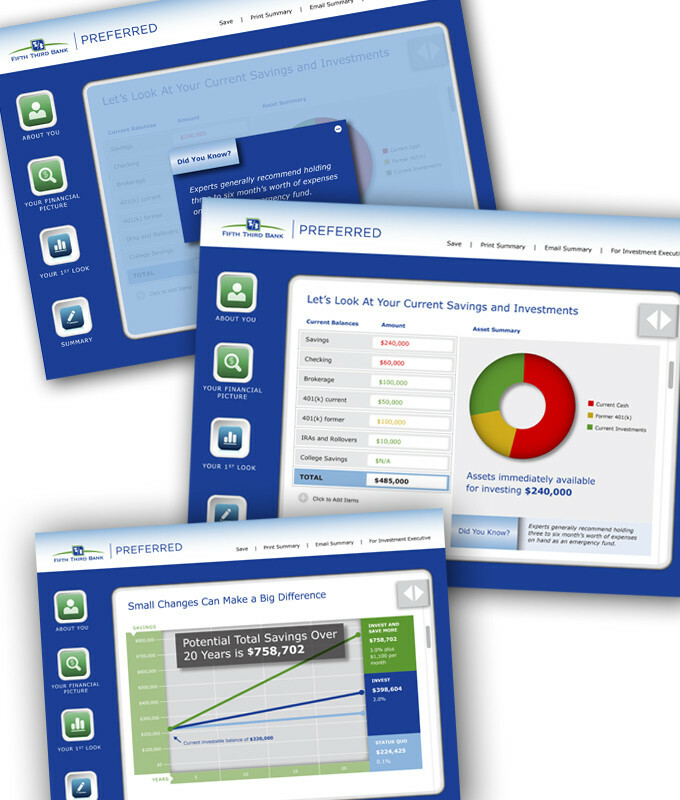 Sliders allow the representative to test different savings and rate scenarios. The ability to save the results adds flexibility and builds a database of customer information. A takeaway with important contact information and next steps provides the customer or prospect with a physical (or electronic) summary to share.